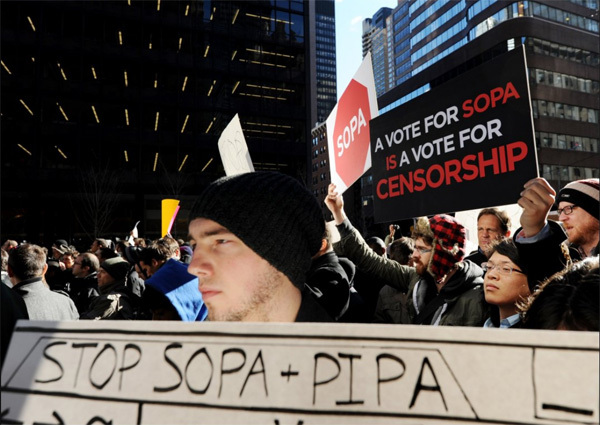 The Stop Online Piracy Act (SOPA) and the Protect IP Act (PIPA) which were under review of American Senate still have been in the spotlight of the hottest online and offline discussions. 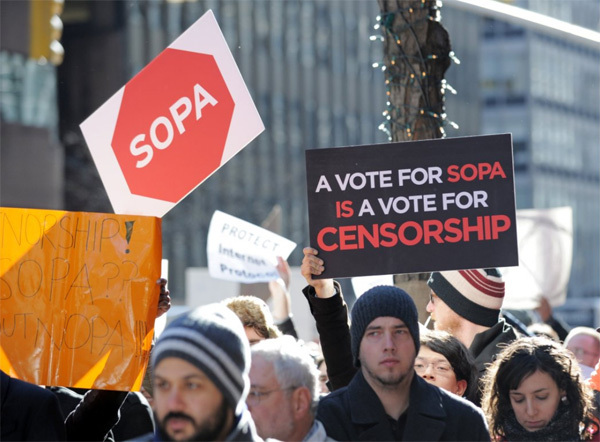 Today almost everybody celebrates the win of the Internet under SOPA and PIPA and we should say words of gratitude to those people who actively protested against these bills. 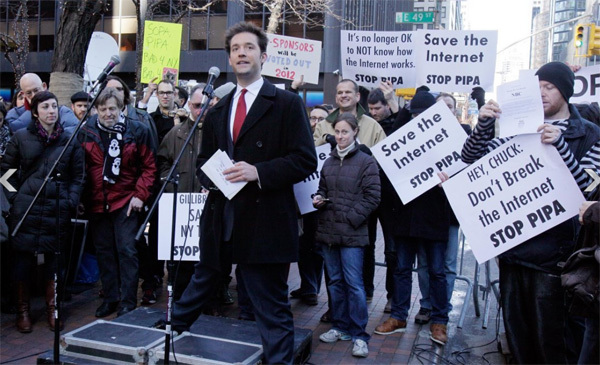 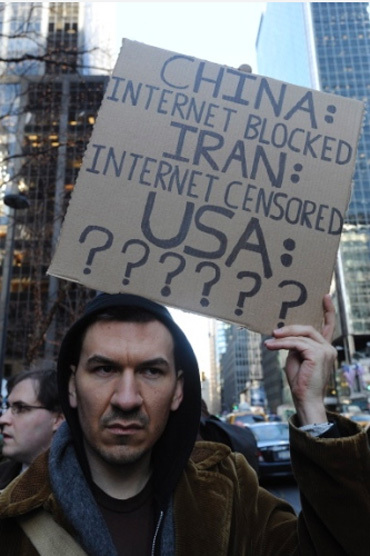 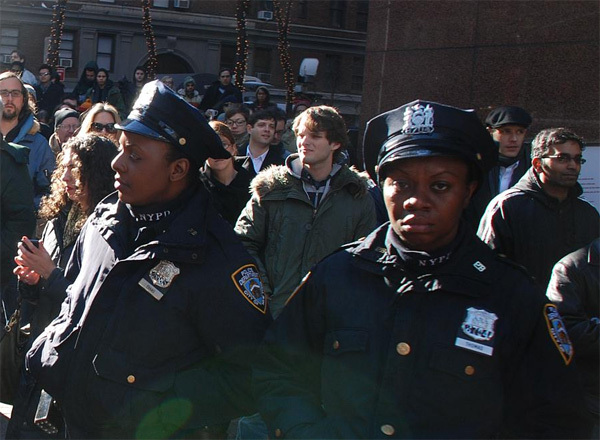 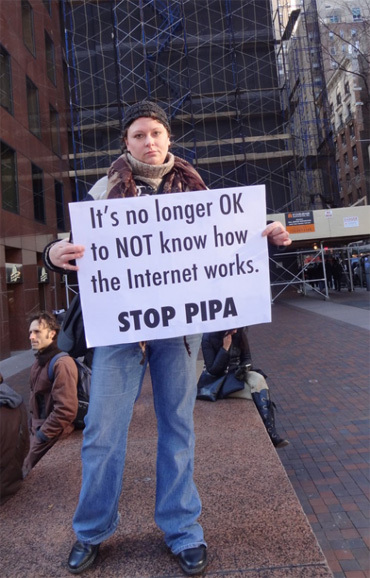 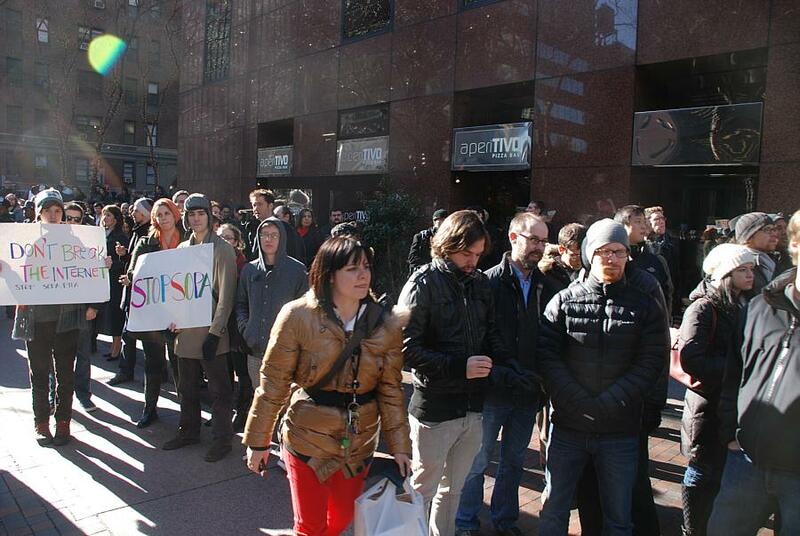 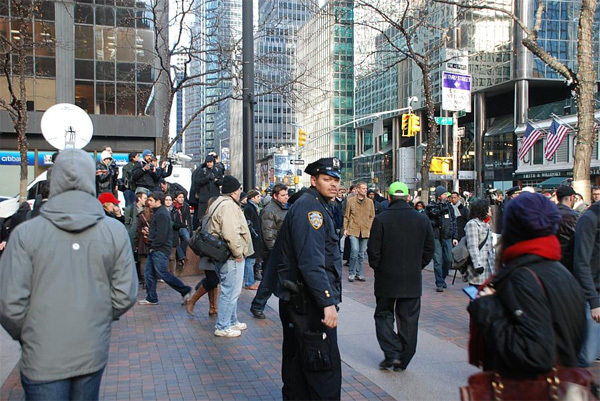 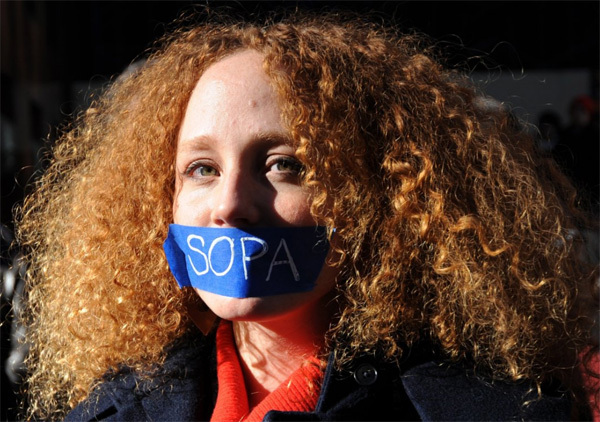 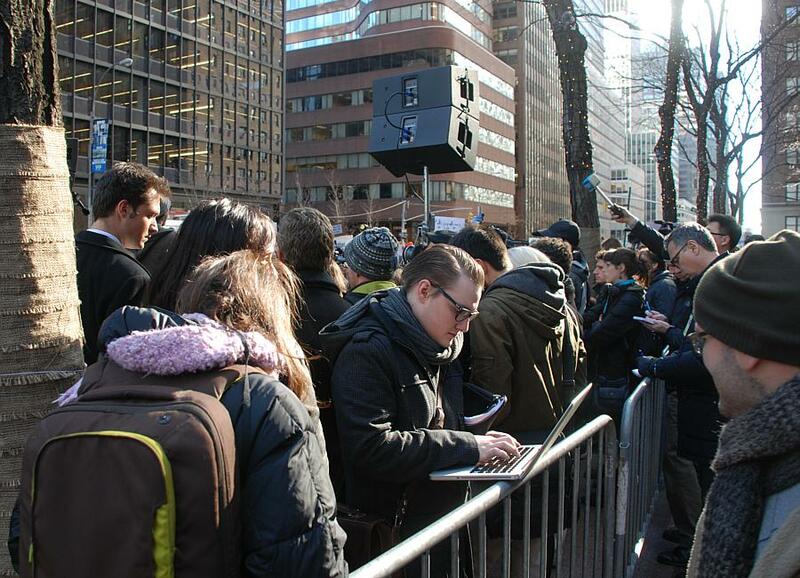 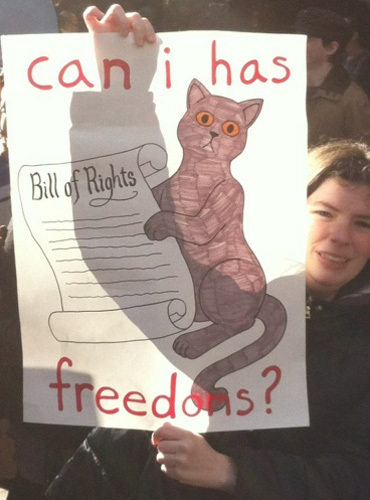 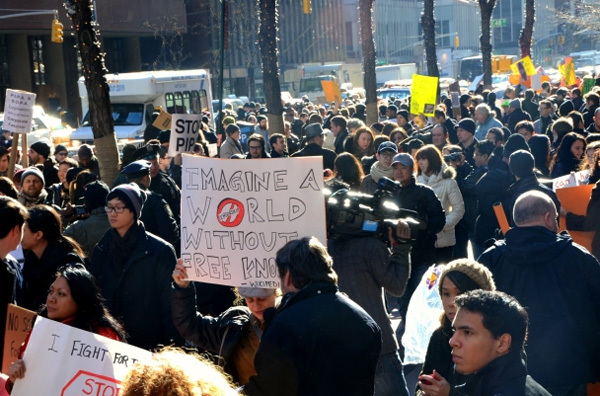 Here we present you several photos of SOPA and PIPA protests on the streets of NYC. Probably you’ll find there somebody you know.